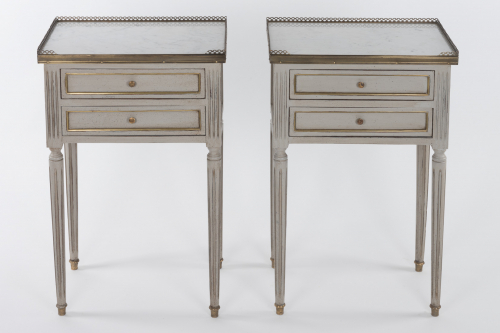 Pair of painted bedside tables in the French Louis style. Brass galleries with variegated marble tops. Brass sabots, highlights to the drawers and knobs. Original, though the paintwork has been recently refreshed.